Just days before the Aug. 7 primary, and trailing in the polls, Lt. Gov. 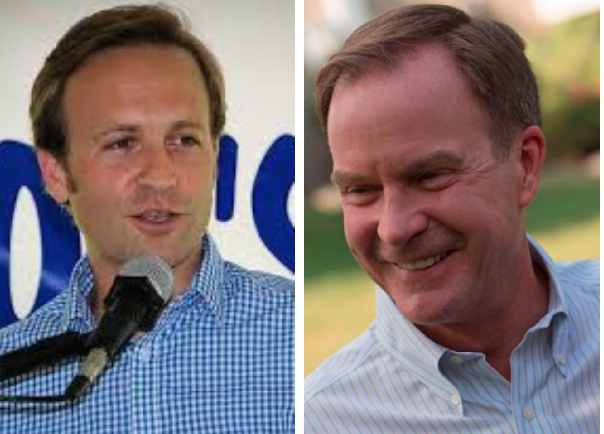 Brian Calley came out swinging against his biggest rival in the race for governor, accusing Attorney General Bill Schuette on Thursday of illegally using taxpayer resources. Schuette’s spokeswoman confirmed the attorney general, staff and a woman who usually works as his political fundraiser discussed the Republican National Convention during a July 2015 meeting in his Detroit office. They were planning remarks he would deliver in “his official capacity” as attorney general, she said, and the fundraiser was there as a logistics volunteer. But Schuette was not actually invited to speak at the event until a month before the July 2016 convention, a full 11 months after the planning meeting, spokeswoman Andrea Bitely confirmed Thursday.